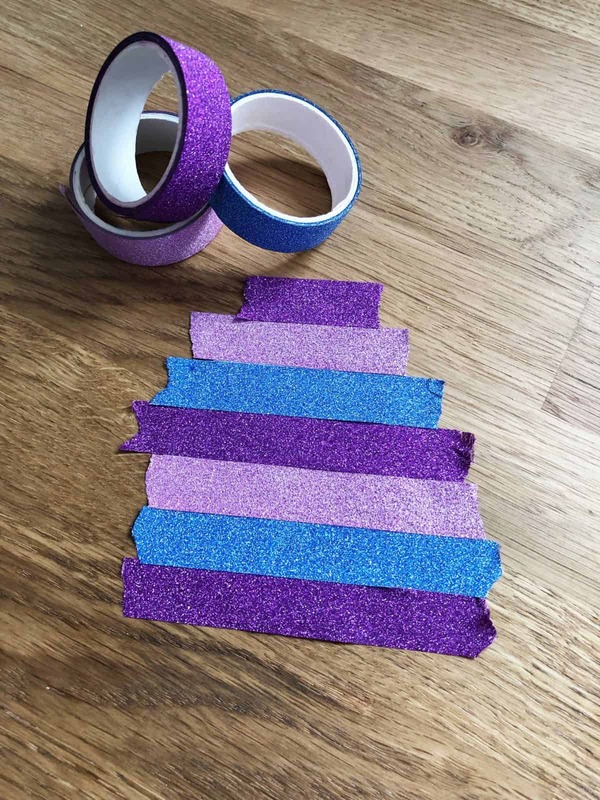 This washi tape Easter egg garland is easy to make and a super fun way to decorate your home for Easter! 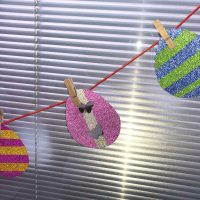 This is a great craft project to do with the kids this weekend! My six year old daughter got a box of washi tape for Christmas and I think we’ve unleashed a monster. 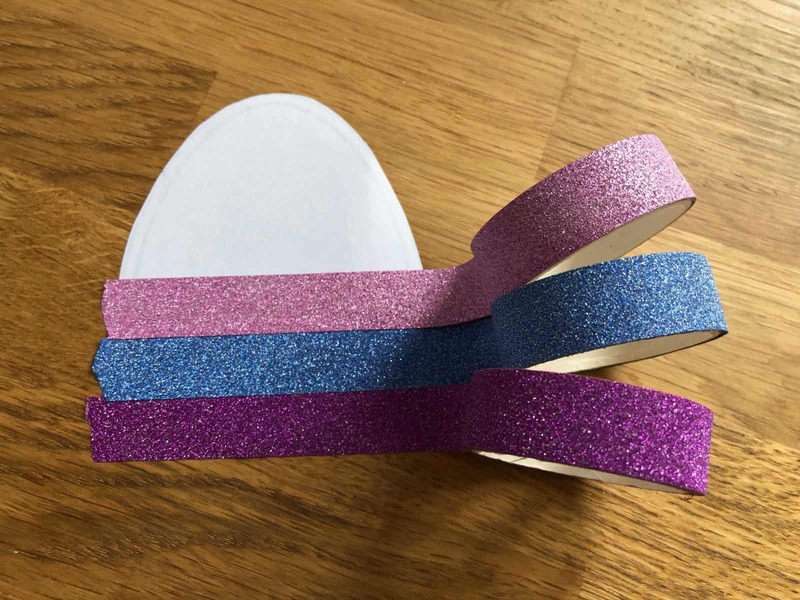 She’s always looking for things to decorate with her sparkly glitter tapes! Today I realised that the garland that hangs in my office is still in Valentine’s mode so I suggested we update it for Easter. 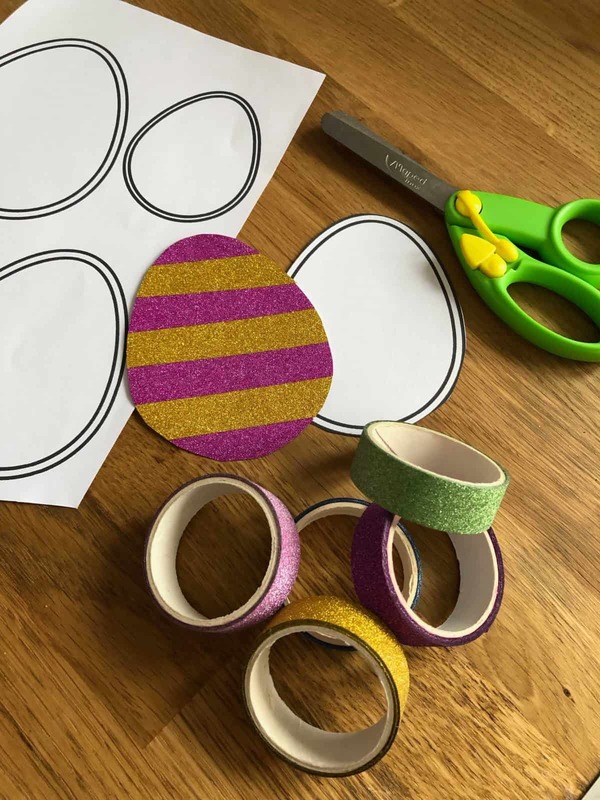 So we spent the afternoon making a really easy washi tape Easter egg garland! The first thing you need to do is cut out your egg shapes so you can decorate them. You can free hand draw them or you can download the free template that I made. I just used regular white printer paper for our eggs. 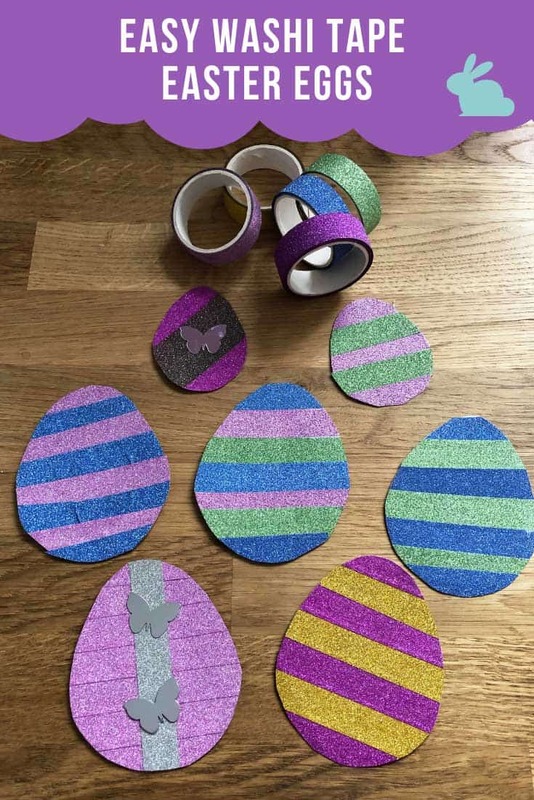 Figure out how many eggs you want for your garland and then cut them out. We made nine for ours. 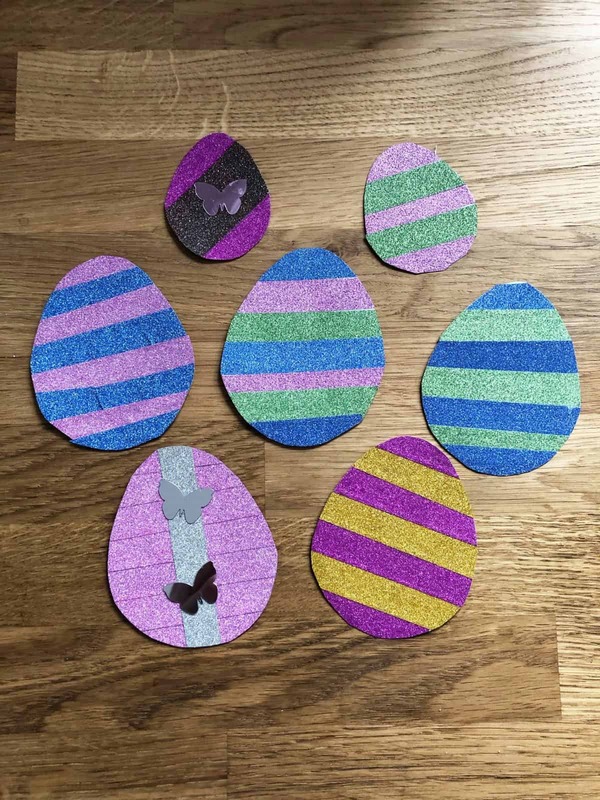 Now it’s time to decorate your egg templates! If you use the one I created you’ll notice it has two lines on, this is just so you can cut them out to be different sizes if you want to. Be sure to stick your tape to the blank side, just in case you have transparent tape, because we don’t want those lines showing through! 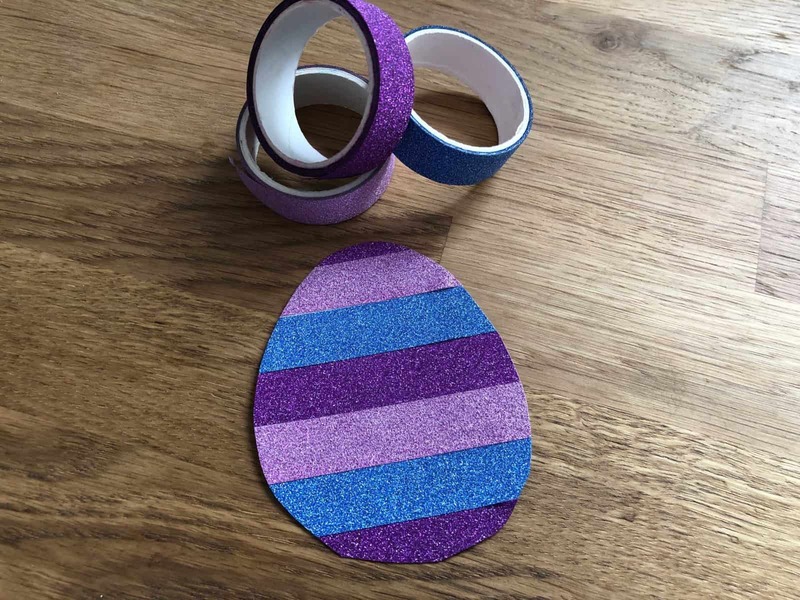 We used the glitter tapes that my daughter had for Christmas but I’m itching to buy some of the Easter themed washi tapes that are available over on Etsy right now! You can decorate your eggs any way you like. We did some with horizontal stripes, some with vertical and some with diagonal. 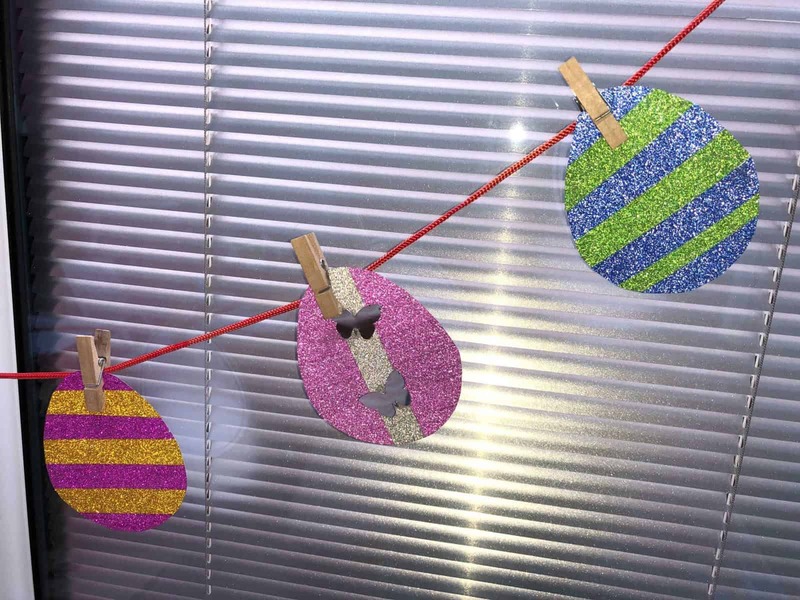 We also grabbed some sequins from our craft stash to stick onto some of the eggs for extra sparkle! 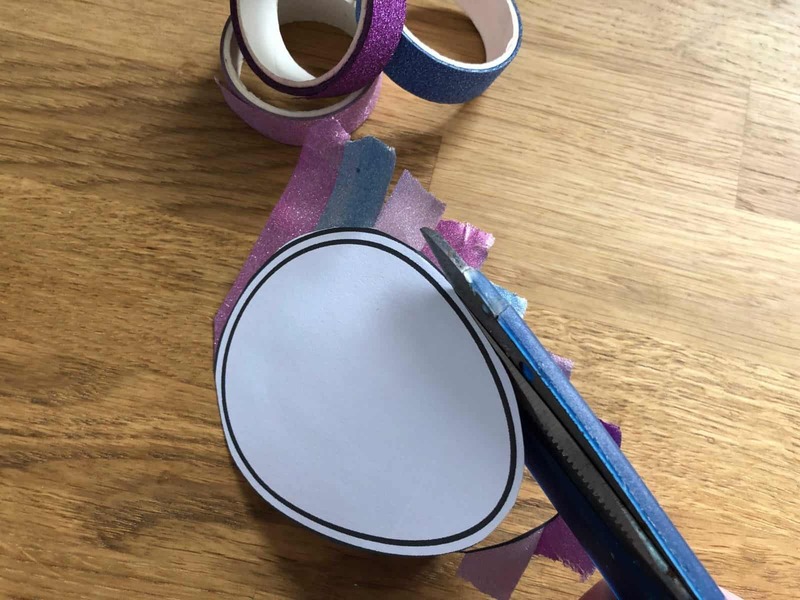 When you have completely covered your egg with tape it’s time to peel it away from the table and turn it over so that you can trim away the excess tape from the edge of the egg. 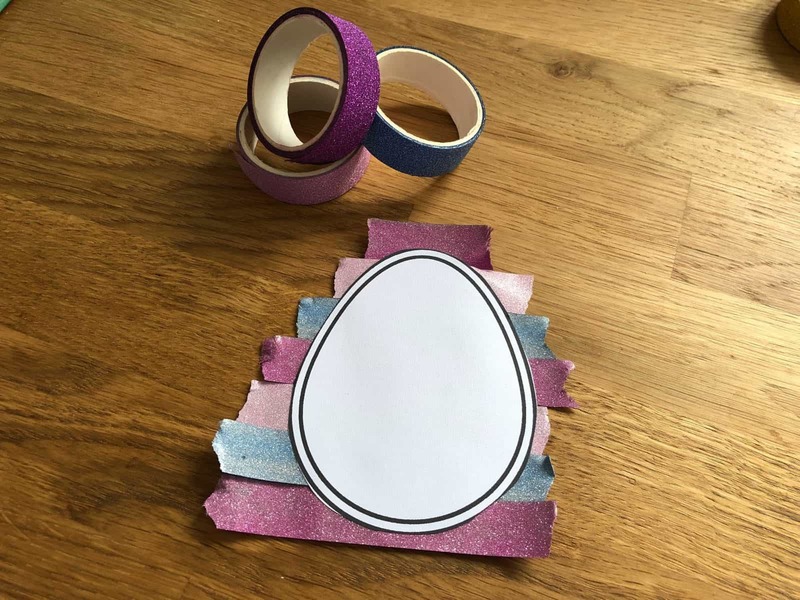 Once you’ve decorated your first egg just repeat the steps until you’ve added tape to all of your cut outs. And now it’s time to add your eggs to your garland. We use the same garland string for all of our holiday banners. It started out as a Christmas one which is why it’s red! 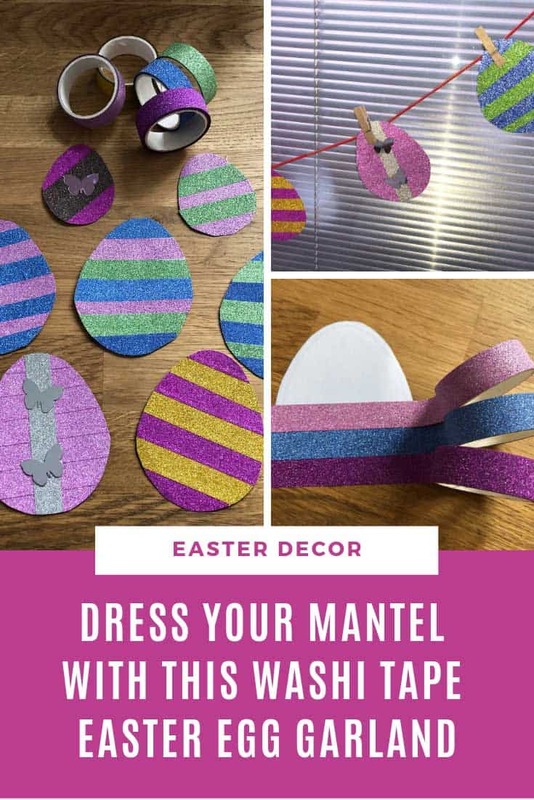 Then we just hung the eggs from the string using mini clothes pegs that you can usually find in the craft section at the Dollar Tree. Previous PostPrevious 9 Adorable Octopus Crochet Patterns Your Kids Will Love!